If you own a telescope that is similar to this one - regardless of the particular brand - that is long, thin and mounted on a tripod, you may have tried to use it, but given up on it in frustration, because of its poor performance, especially for the beginning user. Telescopes, like this one, are generally found in department stores, camera shops, and similar outlets. Most manufacturers, typically, supply high-powered eyepieces with these telescopes; these are the short, interchangeable lens barrels which are inserted into the narrow end of the tube and, which, the viewer puts her, or his eye up to for viewing. The big problem here is, that, the manufacturers want to sell you a "high"-powered instrument, which, indeed, they are. But the eyepieces that are supplied - typically, two - are usually oculars of high and very high magnification. High power like this sells telescopes - but renders them, virtually unusable, by anyone but a very experienced user. In order to get any kind of acceptable performance from, these, otherwise, fine instruments, eyepieces which provide lower magnifications are needed. 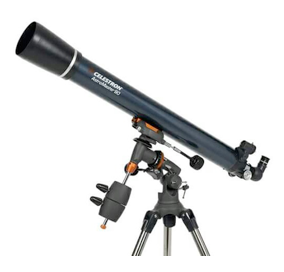 Small Refractor Telescope - Image by Celestron. Typically, the manufacturer supplies eyepieces with focal lengths in the 4mm to 12mm range. The barrels of the eyepieces will have these figures engraved on them. The "mm" stands for millimeters and the number gives the focal length of the eyepiece, in millimeters. *Most important* to remember here, is: the SMALLER the number on the eyepiece - the HIGHER the magnification, or, "power" of the instrument, as a whole - the BIGGER the number on the eyepiece, the LOWER the magnification. So, in reality, telescopes are neither, inherently, powerful, nor are they not powerful. Telescope eyepieces are interchangeable. Power, all depends on the eyepiece being used at the moment. If your telescope came with a 4mm, 3mm or 2mm eyepiece - throw it away - or use it as a paperweight - but that's about all it's good for! But keep the 12mm, or bigger number, eyepiece. Contact the manufacturer or most any other supplier of telescopes, and order replacement eyepieces, in the 9mm, to 28mm, or higher-numbered, millimeter range. Eyepieces of up to 40mm can be found, but a good range of magnification will be found in the 9mm to 28mm focal lengths. where M, is the magnification to be found; Fo, is the focal length of the telescope's objective, or, main lens, and Fe, is the focal length of the eyepiece. 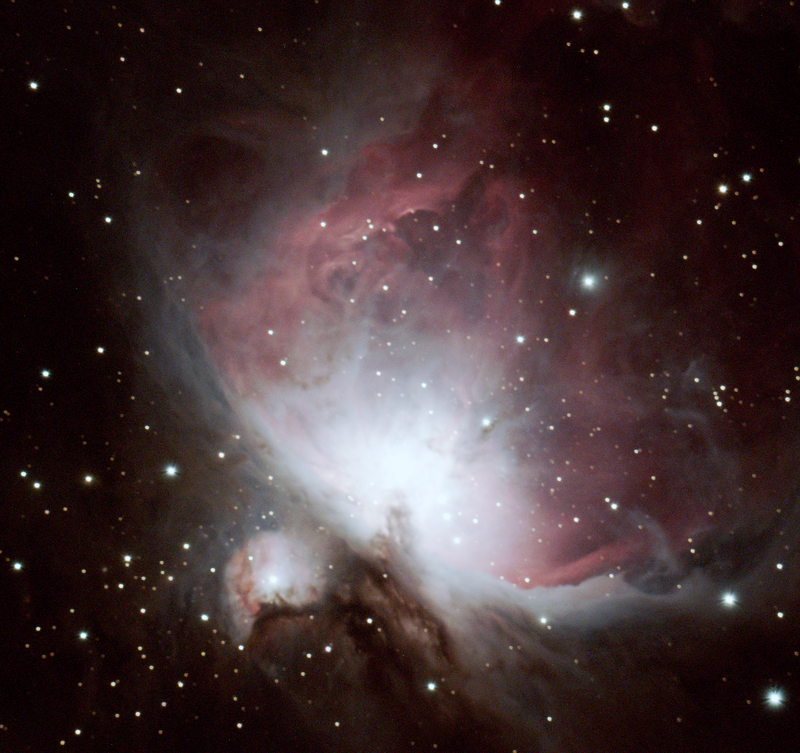 Rule-of-thumb: maximum usable power (magnification), of ANY telescope, is 50-power per inch, or, per 25.4mm of aperture, or objective lens diameter. For example, if your telescope's objective lens has a diameter of 60mm, your maximum, usable power is 120x. Any image, using magnifications beyond this, will be degraded, both in resolution (sharpness) and brightness. A good, usable - "no-frustration" - range of magnification is about 25x-100x. In a telescope with a 700-millimeter focal length, an 18mm eyepiece will produce a magnification of 39x, meaning, that, that magnification will produce an image which appears 39 times the diameter of the image as seen with the unaided eye. A 9mm eyepiece will yield a power of 78x diameters; a 6mm eyepiece will yield an image diameter of 117x. This should be about the highest power you'll need from your telescope. If you're fortunate, your scope also came with a Barlow lens, at either 2x or 2.5x. This, effectively, gives you four eyepieces! A 2x Barlow lens doubles the magnification yielded by any given eyepiece. So, if you've got a scope with a focal length of 700mm and a 2x Barlow lens, with 18mm and 12mm eyepieces, you've actually got powers of 39x, 59x, 78x and 117x! It's really a shame, that so many of these types of telescopes end up in the attic, or basement, out of frustration, because of lousy experiences with them - but it doesn't have to be that way! If you've got one locked up somewhere for that reason - get it back out! Replacing the supplied eyepieces with ones that will work within the usable range of magnifications, it'll seem like a different instrument altogether. 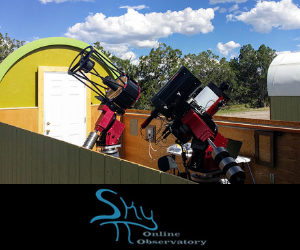 You'll find your "new" telescope to be very enjoyable and enlightening. That's a promise!